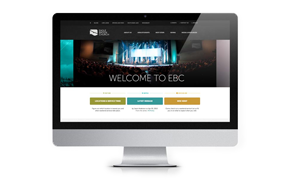 Located in Lino Lakes, MN, Eagle Brook Church exists to provide relevant worship experiences leading their community into transformation and personal ownership of their faith. Eagle Brook Church adopted it’s current name (changed from First Baptist Church of White Bear Lake) in 1991 has grown to an average weekly attendance of over 13,000 in 2012. With five campuses throughout the greater St.Paul, MN metropolis Eagle Brook Church is a growing and thriving church positively impacting their city. Free up ministry staff to spend less time managing online content. Develop a visitor focused multi-site design. 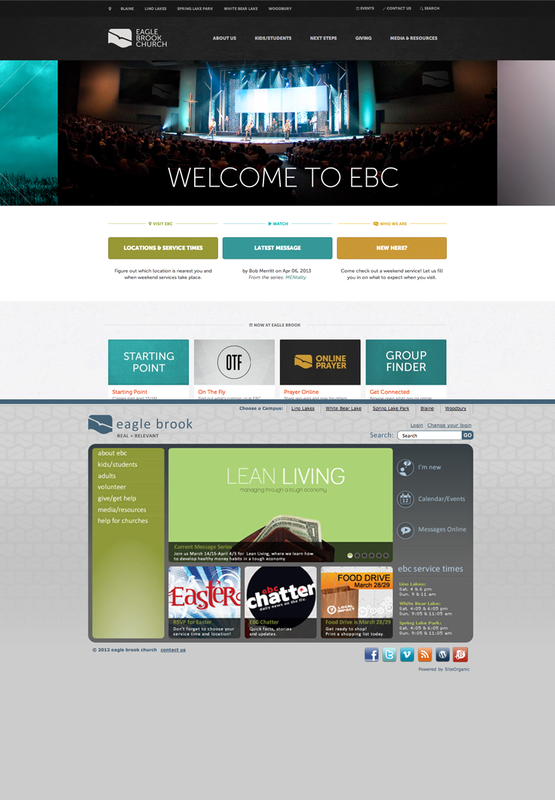 Eagle Brook found themselves with a very complex website steeped with content several layers deep. They were overwhelmed with their technology and struggled to operate efficiently and effectively. Non-existing metrics and analytics made it difficult to identify and measure success, while staff and the greater Eagle Brook community struggled to use their website and technology with efficiency. Website content was seen as a burden rather than a tool for ministry.